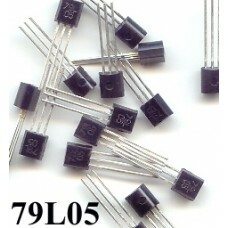 Package containing 25 pieces, 79L05 -5V 100mA Negative Voltage Regulators D..
Package containing 50 pieces, 79L05 -5V 100mA Negative Voltage Regulators .. Pack contain 10 regulators, LM317 ( LM317T ) 1.5 amp 1.2v to 37v adjustable positi..
Package containing 30 regulators, LM317 ( LM317T ) 1.5 amp 1.2v to 37v adjust..
Package containing 30 Regulators. 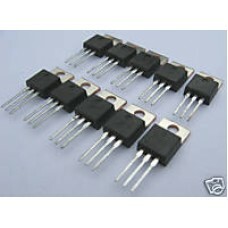 LM3337 ( LM337T ) 1.5 amp 1.2v to 37v adjustable nega..
Package containing 50 Regulators. 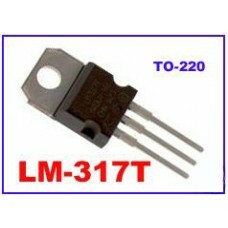 LM3337 ( LM337T ) 1.5 amp 1.2v to 37v adjustable ..
LM7805 +5V Positive Voltage Regulator 1Amp. Package containing 15 Regulators. 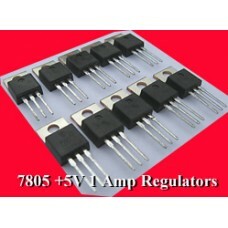 ..
LM7805 +5V Positive Voltage Regulator 1Amp. Package containing 10 Regulators. 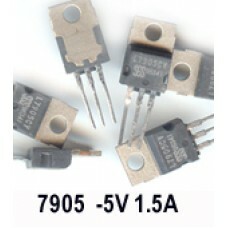 ..
L7905 -5V Negative Voltage Regulator 1Amp. Package containing 10 Regulators. ..